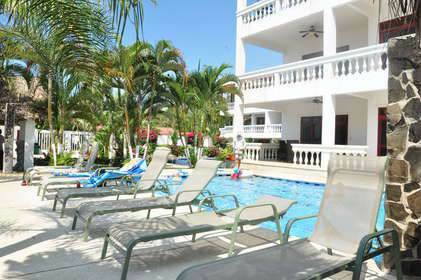 This fabulous ground floor beach front condominium comes fully furnished with all of the convenience and comfort of home. This 2 bedroom, 2 bathroom unit is right on the beach and features two private patios and private dining area. The fully equipped kitchen features stainless steel appliances, granite counter tops with a breakfast bar and elegant wood cabinetry. Open layout living room. Master bedroom with glass doors to access the private balcony. Tasteful decor, and an in-unit laundry room with full-size washer/dryer.